The mission of Boys & Girls Clubs of Metro Atlanta is to provide a quality developmental program which empowers metro Atlanta youth, especially those from disadvantaged circumstances, to become productive adults. 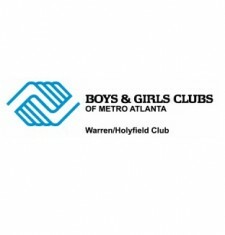 The Warren/Holyfield Club serves youth throughout the communities of Southeast Atlanta, and operates year round serving youth ages 6-18 years. The Club provides programs in Education, Health & Life Skills, Character & Leadership, Social Recreation, Aquatics, The Arts, and Technology. Moving in the Spirit provides weekly dance classes for young people involved at the Warren/Holyfield club.